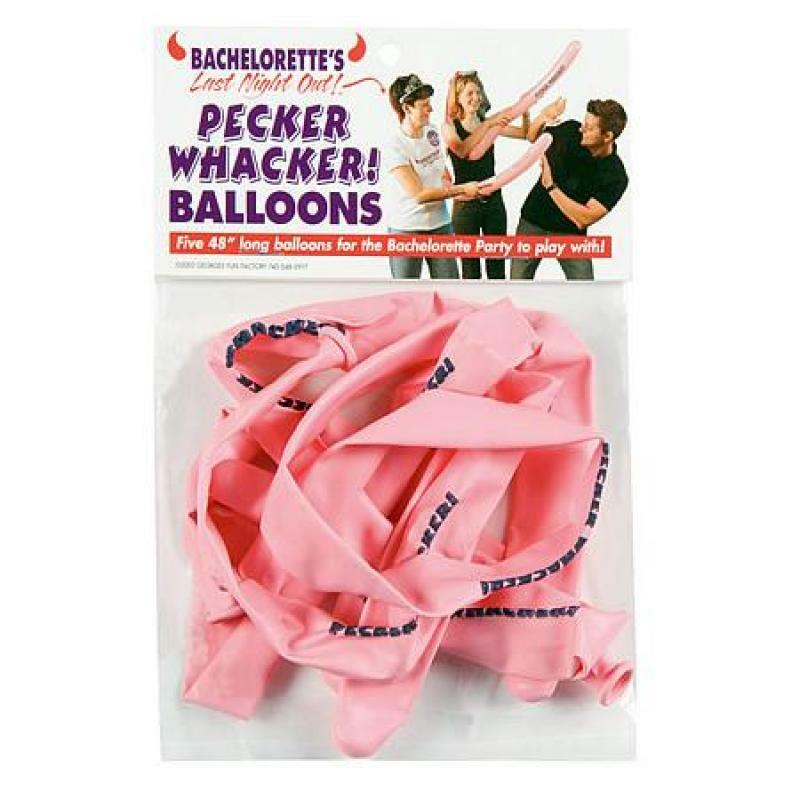 Bachelorette Last Night Out Pecker Whacker Balloons Party Favors! These pecker-shaped balloons are only good for three things: 1. It is fun to whack guys over the head with them. 2. They are great for sword fights or should we say pecker fights? 3. All the girls in the party can do the wave to attract major attention! Contains five 4 foot long printed balloons. 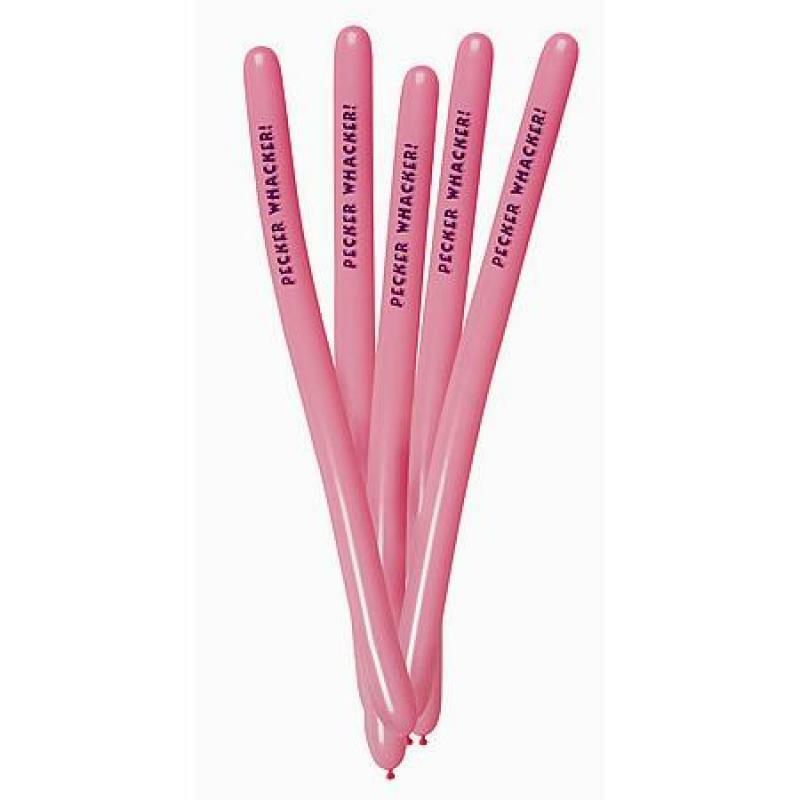 Bachelorette Last Night Out Pecker Whacker Balloons from George's Funfactory. Manufacturing fun! New image added April 29, 2013.